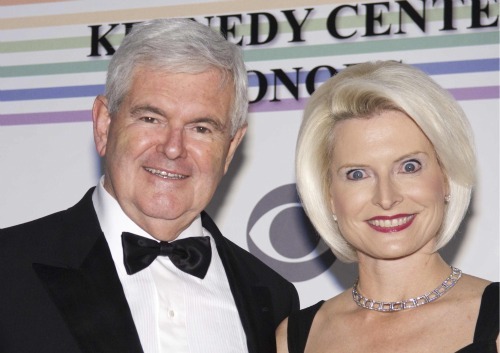 With the Cain, Perry and Bachmann's campaigns unravelling, yesterday's man Newt Gingrich is suddenly looking viable. It's a sign of desperation, not strength though. And it's a development that's leaving many conservatives feeling decidedly queasy. When character becomes the issue Gingrich's life becomes a minefield. At the moment the current GOP lineup looks like a circular firing squad. But new attack videos by fellow conservatives like the one below are an indication of just how deeply opposition to the final three standing remains within the party itself.